we kalishankar export supplies pure sandalwood essential oil. Sandalwood oil is commonly known for its woodsy, sweet smell and is frequently used as a base for products such as incense, perfumes, cosmetics, and aftershave. It is easily blended with other oils, making it desirable as a mix into other fragrances. Traditionally, sandalwood oil has been a part of religious traditions in india and other eastern countries. Its botanical name is santalum album. Bland with - Basil oil, eucalyptus radiata, peppermint oil and pine oil. constituents - Santalol (90%), santyl acetate and santalene. Benefits : The benefits of sandalwood essential oil are mental clarity, relaxing and calming, memory booster, natural aphrodisiac, astringent, anti-viral and antiseptic, expectorant, anti-inflammatory, hypotensive, anti-aging and anti-spasmotic. Aromatic description - rich, sweet, fragrant yet delicate, woody, floral. 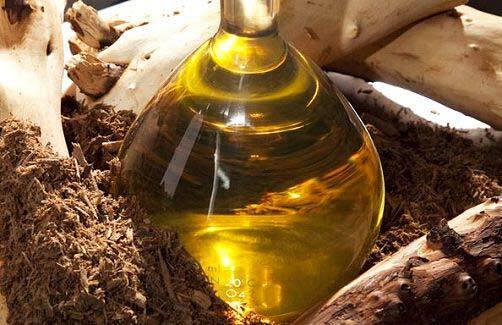 Sandalwood oil uses - the sandalwood oil mysore is popular because of its exquisite aroma and high medicinal value. It has many therapeutic properties which makes it an extremely effective antiphlogistic, antiseptic, antispasmodic, astringent, carminative, diuretic, emollient, expectorant, sedative and tonic.